Does Diversity On Research Team Improve Quality Of Science? As science becomes more diverse, scientific collaborators are growing more diverse, too. New research exploring the effect of this change suggests the diversity of the teams that produce scientific research play a big role in how successful the science turns out to be. As science becomes more diverse, scientific collaborators are growing more diverse, too. New research exploring the effect of this change suggests the diversity of the teams that produce scientific research play a big role in how successful the science turns out to be. Our social science correspondent Shankar Vedantam spends a lot of time reading scientific papers to do his job, and one thing he's noticed is that the names on recent papers from scientists at American universities tend to look different than the names of scientists on older papers. These days, papers have more names that clearly have origins in Asia, Africa and Latin America. Science is becoming more diverse. That's not surprising in itself, but here's the question - does the increased diversity have an effect on the quality of the science?And Shankar joins us to try and answer that question. Shankar, welcome back. GREENE: So give us the context here. I mean, how much has the world of science been changing in terms of diversity? VEDANTAM: There's been quite a lot of change, David. Let's look at just one measure of diversity and that's ethnic diversity. In 1985, more than half of all papers in science exclusively had Anglo names. By 2008, that number was well under 50 percent with many more Chinese, Indian, Hispanic, Korean names - about one in five papers in the natural sciences has a Chinese or an Indian name. So that gives you a measure of how diverse science has become. GREENE: And so is there an actual way to measure the quality of science and whether this diversity is changing quality in some way? VEDANTAM: So one way that scientists use to measure quality is to measure how often papers get cited by other papers. VEDANTAM: So let's say you're a scientist, David, and you write a paper and I'm an independent scientist and I'm writing my own paper but I think your paper has broken ground. As I write my paper I will cite your work and say: As David Greene wrote in such and such a paper. VEDANTAM: And that's a measure that an independent person has valued your paper. So if you count the number of citations, it gives you a measure of how effective and powerful papers have become. I spoke with Richard Freeman. He's an economist at Harvard University. He decided to use the citation method, along with his co-author Wei Huang, to measure how the quality of scientific papers has changed. He looked at the ethnic identity of the authors of 1.5 million papers written between 1985 and 2008 and he compared the number of citations that papers received when they were written by diverse teams compared to when all the authors came from a similar background. Here's Freeman. RICHARD FREEMAN: We found that if you write a paper largely with people of your own group, it's likely the paper gets less citations than if you write it with a broader group of people. You tend to do better if you stretch. GREENE: So he's dealing with more than a million papers he's looked at. And, I mean, the link seems pretty clear. You have a more diverse group of researchers and a better paper. VEDANTAM: That's right, David. What's interesting is that this seems to affect all groups. So papers written exclusively by Anglo authors don't do as well as papers that have Anglo authors and, let's say, Chinese authors. But that's not because Chinese authors always make the papers better. If you look at papers that are written exclusively by Chinese authors, those papers tend also not to be as good as papers that are written by diverse teams. Freeman thinks that what's going on is that ethnic diversity on these papers is really serving as a marker for something else that's really important in science. Here he is again. FREEMAN: Ethnic diversity is an indication of ideas' diversity. People who are more alike are likely to think more alike and one of the things that gives a kick to science is that you get people with somewhat different views. GREENE: So avoiding group think is essentially good for science is what he's saying here. VEDANTAM: That's exactly what he's saying, David. GREENE: And are there other types of diversity where this seems to apply? I mean, I can imagine geographic diversity, other things like that. VEDANTAM: You know, Freeman actually has looked at the question of geographic diversity and he's found exactly the same thing - papers are going to be more highly cited if the teams come from different parts of the United States. So if you have a paper co-authored by people in Boston and Texas and California, that's going to be better than if all the authors were in Boston or all the authors were in Texas. GREENE: And it sounds like one important thing to note here is that it's not a matter of diversity broadly in the world of science; it's a matter of looking at individual teams and making sure they're different perspectives, different points of view, different backgrounds. VEDANTAM: That's exactly right, David. In fact, Freeman said that he began to study when he noticed that when you go to different scientific labs today you see a lot of clustering along ethnic lines. So you see Anglos working with Anglos, Russians working with Russians, Chinese graduate students working with Chinese professors. What Freeman's work seems to suggest is that this might make you feel comfortable but it's probably not going to lead to your best work. GREENE: Shankar, thanks as always for coming in. GREENE: Shankar Vedantam regularly joins us to talk about social science research. 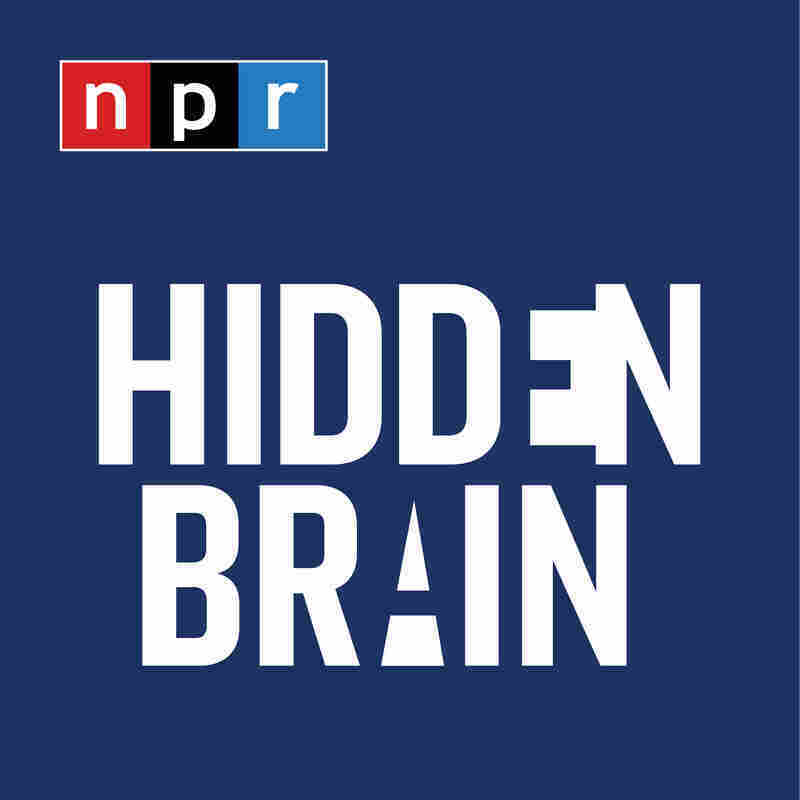 You can follow him on Twitter @hiddenbrain. You can follow this program at nprgreene and at MORNINGEDITION. This is MORNING EDITION from NPR News.